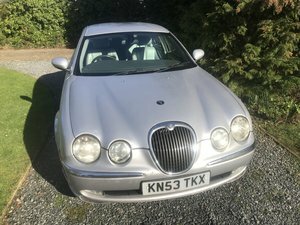 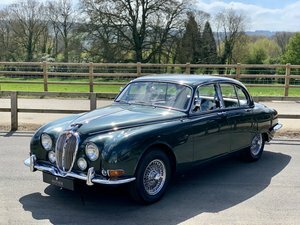 Our classic 1964 Jaguar S-Type hire car is a luxurious and spacious 4 door, 4 seater saloon. 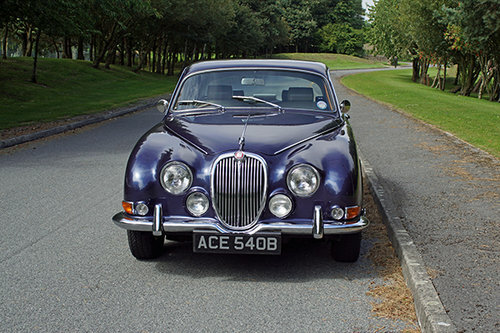 The S-Type was an upgraded version of the more famous Jaguar MK2, but looks very similar, especially from the front. 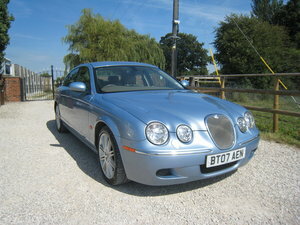 Space, luxury and comfort where Jaguar's objectives when designing this sports saloon. 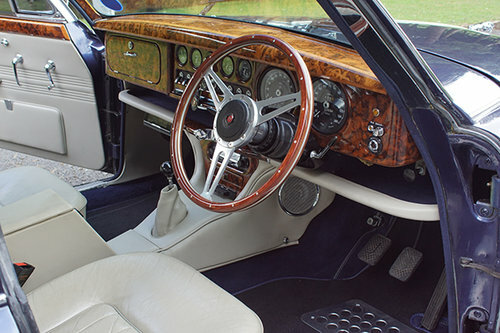 They wanted to blend the best of the sporty MK2 with the larger, more opulent MK10. 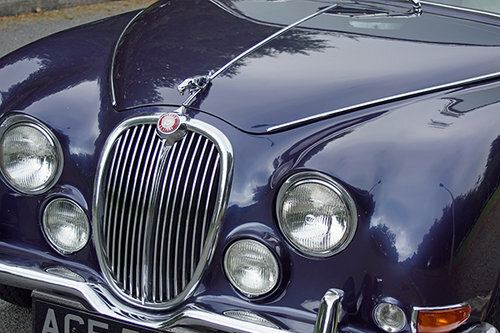 Our S-Type has the larger 3.8 litre Jaguar XK engine, a 4 speed manual gearbox with overdrive and power steering. 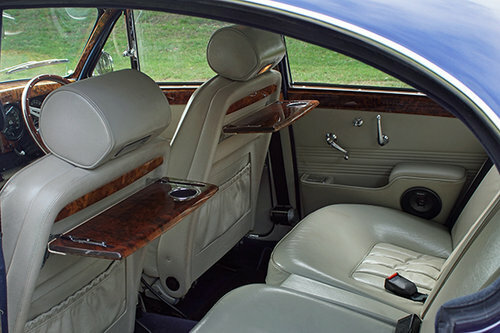 The interior is decked out in pale grey leather with lots of walnut trim and chrome. 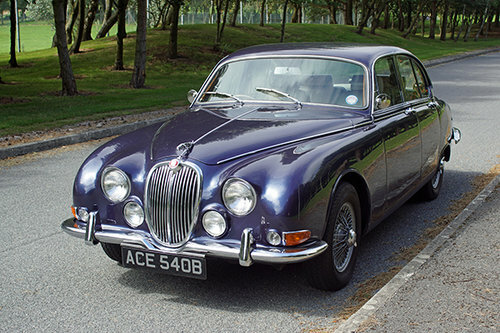 The Jaguar S-Type was the car used by the villains in 1960's police drama, the Sweeney. 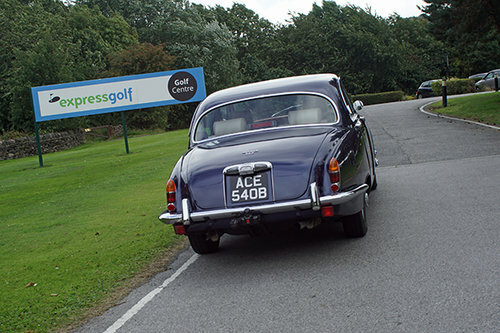 You can hire this car on a self-drive basis, an a range of different hire packages. 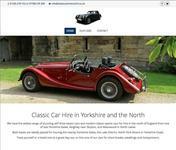 It's ideal for touring the nearby North York Moors, Yorkshire Dales, Or Lake District. 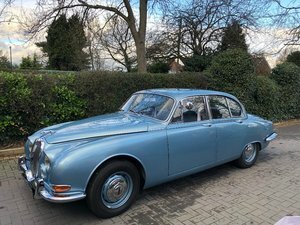 It also makes a fabulous self-drive wedding car and can also be hired for promotional work and filming.